A fundamental difference between religion and science is that a scientific theory is testable, while a religion is not. Religion ignores facts and believes in faith. All environmental doomsday theories are religions, not science. This is true no matter how much they disguise their religion with scientific jargon or call what they are doing a science. Before I examine some of these environmental doomsday theories, let’s look at another pseudo science. Creationists say creationism is a science and they attempt to include scientific jargon, including their attempt to show probabilistically human life is impossible. One version of this idea is that given the number of base pairs in the human genome and that even if one of them were wrong humans would not exist, it is therefore impossible that their was not a Devine hand. Of course, it turned out that much of the genetic material is irrelevant and that there are redundancies in the encoding of the human genome. Did the Creationist admit defeat? No, because it’s a religion not a science. The same is true of Global Warming (Climate Change), Global Cooling, Malthus, Club of Rome Limits of Growth, Population Bomb, Nuclear Winter, etc. None of these hypothesis are testable. The proponents cannot name a single test that would prove their hypothesis incorrect. In this post, I will only discuss the ideas related to some limit to human prosperity. The idea that humans are doomed to starve to death was first proposed by Thomas Malthus in 1798. Human population was about 1 billion when Malthus wrote this and today we have a population of about 7 billion. In 1800 a much larger percentage of people were at risk of starving to death than today. Nevertheless this did not stop Paul Ehrlich from writing The Population Bomb in 1968 warning of mass starvation in 1970s and 1980s. When Erhlich wrote The Population Bomb the world had population of about 3.5 billion. Of course, Ehrlich turned out to be wrong, just as Malthus had. Note that Mr. Ehrlich also believed we faced imminent Global Cooling at the time, now he is apostle for Global Warming. How many times can a person be wrong? Has Ehrlich admitted that his earlier hypothesizes were clearly incorrect? No. Have the mass starvation proponents admitted their ideas are incorrect? No, because their theories are not science they are a religion. No facts will convince them to give up their irrational argument that we are about to run out of food. See Earth Economist: The food bubble is about to burst. The argument in this article is that we are about to run out of water for agriculture. This is nonsense. The amount of water on the Earth is essentially the same as it was a billion years ago. Water has never been where we want it or necessarily in the form we want it. This is not a resource problem, this is an infrastructure/invention problem. All these doomsday prophecies are religions. All these proposals demand that human freedom be limited to deal with these doomsday religious theories. This makes them somewhat self-fulfilling prophecies. The way human’s create wealth is by the use of their mind and the ability to act on their thoughts. Or as Ayn Rand said in Capitalism” The Unknown Ideal, “reason is man’s means of survival. Limiting freedom, limits the ability of people to create wealth. For more information see Sustainability isn’t Sustainable. While Ronald Reagan pandered to the religious right, he still nailed this issue. Only when the human spirit is allowed to invent and create, only when individuals are given a personal stake in deciding economic policies and benefiting from their success — only then can societies remain economically alive, dynamic, progressive, and free. Trust the people. Sad indeed it is to see that you do not grok what science is. A scientific hypothesis is one that is disprovable with but a single counter example. An example of a scientific hypothesis would be this: Throughout the Universe, E=mc^2 holds true. Thus if we can show just one place in the Universe where it is not true, we have discredited the hypothesis. Believe it or what, your statement: “All environmental doomsday theories are religions, not science” fits the bill. If we can show just one example where a ‘doomsday theory’ is not a religion (i.e. it does not require an intelligent divine designer) then we have discredited that statement. The theory of AG-WACC (Anthropogenic induced Global Warming and Climate Chaos) does not need divine intervention and thus it is not a religion and therefore your all-or-nothing hypothesis is discredited with the one counter example. Wrong AG-WACC does not have a single counter example that will prove it wrong. If it gets warm it proves Global Warming, if it cools it proves Global Warming, if it stays the same it proves Global Warming. If scientists lie about the data, this is ignored. It ignores that the Sun is the major source that affects the temperature here on Earth. Provide me the one counter example that will prove AG-WACC is not true and that the true believers also agree this will disprove this nonsense. I think (respectfully) that you missed the main message about scientific method. Its power and subtlety lie in making an all-or-nothing proposition of the form: This hypothesis H is true for ALL conditions. Once the all-or-nothing stance is taken, the hypothesis H is subject to disgrace and discredit by any one tiny example where it fails. When a hypothesis H withstands attack for very long periods of time despite many experiments trying to disprove it, that hypothesis H (e.g. E=mc^2 everywhere) is strengthened. In true science there is no such thing as an absolutely unchallengeable hypothesis. All hypotheses must be challengeable (falsifiable) and must continue to withstand relentless attacks against their viability. Now as to the issue of Peak Fresh Water, I must confess I am no expert. However, it does sound logical that if you are going to deplete an aquifer faster than it is replenished, you stand a good chance of running it dry. IIRC, in high school algebra class they made us do a rate of flows analysis where the drain plug in a full bath tub is popped open and the faucet is left dripping water into the tub. As long as the rate of depletion is greater than the rate of refill, the bathtub eventually runs dry. Yes, if you point is only that the aquifer will run out. However, it is not a logical conclusion if you say we will run out of water generally. The amount of water on the Earth has not changed, so it is not a lack of water that is the problem it is a lack of infrastructure or invention. That is real science. With due respect, they are talking about fresh water, not “all waters” including sea water. We all know the Earth (in this geological period) is about 75% salt water. “Invention” alone will not convert salt water into massive quantities of fresh water. There are all sorts of problems with scaling most hair brained ideas. At the end of the day it usually takes massive amounts of energy to distill or otherwise purify salt or otherwise contaminated water. Where does all that magical energy come from? Most scientifically trained persons understand that this is one of the grand challenges facing mankind and no one has yet come up with a practical solution. To repeat, I’m not up to snuff on the water shortage debate. However, one simple challenge would be for us to use our “ingenuity” and boundless “innovation” abilities to make more water appear in the Colorado River. Malthus is also basic math. When you have a geometric growth function (i.e. human population) versus a linear growth function (i.e. agricultural production), eventually the geometric function far outpaces the linear function. Again that is basic high school math. True that Malthus did not foresee the fertilizer revolution (a.k.a. the Green Revolution). But that makes his prediction off by a decimal place or two. It does not invalidate his prediction. You and I can have all the “ingenuity” we can each handle. But if the starving masses are running amok through the lands like a swarm of locust, it is unlikely that ingenuity will do us much good. Again the facts do not support this. If humans do not suffer massive starvation in the next 200 years, will you then admit Malthus was wrong? Famines happen all the time. Ronald Reagan was a good actor, true. There is no such thing as trickle down economics. If there were it would be the government stealing from productive people and then giving it to politically favored groups. That is trickle down. It is also stealing – look up the definition. This country refuses to face up to some simple facts. We cannot afford to run $1 trillion dollar plus deficits. We refuse to protect the property rights of inventors, which is destroying start-up companies that create jobs. We immorally tell people how they can invest their money. The burden has become so large that it is impossible to find financing for start-up companies. The US is quickly becoming a second world country and it is not because of lack of natural resources it is because of lack freedom. DB: When it comes to supporting inventors and protecting their rights, I’m just part of the choir that you regularly sing to. Certainly the Haber–Bosch process was an invention that pushed back the date of the inevitable Malthus trap. Without Haber–Bosch (see link below), we would have run short of food long ago. However, the task of coming up with just-in-time savior technologies like Haber–Bosch keeps getting more and more difficult. Necessity is not always the fertile mother of savior technology. Sometimes necessity can be the barren spinster relative of a doomsday scenario such as one where the movie star scientist fails to come up (just in the nick of time) with the miracle vaccine to stave off a world pandemic. By stating that it keeps getting more and more difficult to come up with the next technology-will-always-save-us invention like Haber–Bosch, I am merely rephrasing Tainter’s theory of diminishing return (and possibly negative return) complexity. People may be smart and clever. And Americans may be the ‘exceptionalist’ case of being the most ingenious peoples to have ever graced the face of this planet. However, there are limits to our mental capacities. One mental capacity that we appear to have no limit in is self-delusion. Einstein is rumored to have commented on that topic as well as the topic of compound interest. (Two things that appear to have no limits). Step back, I appreciate your support for protecting inventors. If you were correct about it getting harder, then we would expect more people at risk of starvation today than 1900, but that is not the case. “Risk” is in the eye of the risk analyst. Some are more knowledgeable and perspicacious an analyst than others. You prove my point, I have shown that Malthus was horribly wrong, Ehrlich was completely wrong, but being a true believer you ignore the facts. You clearly have drank the kool aid of environmental religion and no facts will change your mind. Note that the most recent famines are caused either by government’s manipulating the food supply – it is not a lack of food, but the use of food as a political tool. Or it is environmental religion that keeps the food from being grown. See India in the 60s where they would not allow farmers to grow genetically modified food. A similar situation occurred about 10 years ago in Africa. These are facts. Rachel Carson and Silent Spring killed more people than Stalin, Hitler, & Moa combined. This is a fact. Has environmental religion apologized or repented? No The obvious conclusion is that environmental religion is not interested in human life. In fact if you search enough you find environmental religionist admit this. They are anti-human. Touche’ there my esteemed debate opponent. May I suggest that it is you rather than I who sees the world in stark shades of only black and white? The world view you seem to espouse holds all tree-huggin commie pinko leftists in utter contempt for having ruined the world while Ronald Reagan and Ayn Rand stand proud (hand in hand?) on the green grassed hill of that shining city, waving the American flag and the mighty dollar bill in clenched fists and singing the glory of unapologetic objectivism. Yes it’s always the victim’s fault. If the rains don’t come and the winds kick up the dust in a mighty storm then it is the fault of those who did not follow pure capitalist ideology that they got their just desserts and grapes of wrath. What a bunch of lazy, dumb and unworthy human beings thye are. Why they don’t even deserve that label! Wait a minute –dust storms and decimation? –wait– aren’t we describing capitalist America of the unroaring 1930’s? 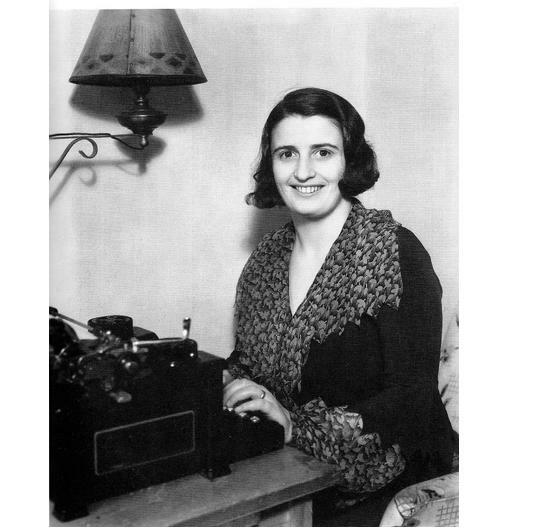 Let us therefore step back and turn our gaze fondly again at that black and white image of Ronald and Ayn standing proud on that glorious hill. That is real reality. That is the way the world really is. Ronald and Ayn? Hip by hip hooray! BTW, have you seen the recent PBS series on Reagan’s life history, the myth versus the reality? You did not provide any facts to support Malthus, Club of Rome, or Ehrlich. Instead you attacked me by putting words in my mouth, such tree-hugging, pinko leftist. Science is not about shades of grey. The 1930s were not capitalism, they were socialism. Capitalism is not about alphabet soup agencies or even the Federal Reserve or legal tender laws. Capitalism is about freedom and property rights. I’m not here to say that doom & gloom is guaranteed and for sure we will live in a Mad Max world in the not too distant future. On the other hand, I think the cornucopian singularity view of the world is way more whacko and one should prudently consider the possibility that the just-in-time technology tooth fairy might not always show up on time or ever at all in every case. BTW, just passed a gasoline station posting $3.69/gallon –and it’s not even summer driving season yet. Scary. From a personal economic point of view I think the cost of commodities is going up and is going to squeeze the US middle class over the next decade. The causes I believe are the Federal reserves’ policy to weaken (destroy) the value of the dollar (in a failed attempt to pay off our national debt) and the increase in prosperity of China and India, which will increase demand. This means that I agree the outlook for Americans (Westerners)over the next decade or two is likely to be depressing, but I believe it is because of the policies we are pursuing, not some fundamental law of nature. I have encouraged my kids to move to Australia or NZ for this reason. A geologist named MK Hubbert drew the basic graph back in 1956 and they all laughed at him. President Jimmy Carter tried to explain to the American people in 1979 the meaning of the Hubbert curve (link below), and they (including RR) similarly all laughed at him. Now here we are, 55 years after Hubbert sketched his graph and some are still laughing. Others are not. It’s all a matter of how much discretionary income you personally have available to spend for food and fuel. In Egypt the answer is, not much. In Mexico, the answer is, not much. Clearly the Hubbert curve does not take into account new inventions. The Hubbert curve would have shown that we were going to quickly run out of Whale Oil in 1850s and we would no longer have artificial light. This is the reason none of these end of various resource theories work. We do not even capture all the energy from the our Sun. We have barely begun to scratch the surface of our resources. See Michio Kakyu. In science hypothesis like Hubbert have to be tested empirically. Hubbert’s thesis does not hold up when tested empirically. Even if Hubbert was correct, the area under the curve is the mass of the Universe. The mass of the Universe is 10^30 times greater than the mass of Earth. There is next to no possibility that humans will run out of these resources in any meaningful time frame. But we are very likely to run out of ideas to use these resources if we limit freedom. This is completely support by the empirical evidence. Where ever freedom and property rights are denied you find poverty, famine, and death. Where ever you find freedom, you find abundance and growing abundance. You want “empirical” testing of Hubbert? You are worried about some phantom, when the real problems facing the US are staring you in the face. Our federal deficit (not including unfunded liabilities) is going to be $25-30 trillion by 2020. This is simple math. This means the interest of the deficit will be between $2-3 trillion a year. And in the fact that 10,000 baby boomers are retiring per day for the next 2 decades and we are heading for bankruptcy. Simple math. This will result in massive inflation on the scale that create Hitler and Mussolini. This will occur within this decade. This is man made disaster, not some fundamental law of physics. The only law of physics limiting human growth in entropy. Since we are part of the Universe we cannot affect the change in entropy so it is meaningless to worry about it. We have enough oil and coal to last for at least another 60-200 years without finding any new sources. By the way oil and coal are renewable over a long enough time. Both are just stored solar energy. We have already found that used vegetable oil works for diesel engines – this is replenished yearly. All the counter arguments are based on speculation. I have provided hundreds of counter examples, but these are ignored. That is religion. Maybe we can keep it going? I don’t know. You are correct that the financial crisis facing the global free trade world (not just USA) is a massive and troubling one. The way I see it, it is all interconnected. “Money” and finances are simply a covert way of making “promises” –ones we may not be able to keep and ones we have no intent of being personally bound to keep. There is a magical “they” who will do it all for us. If there is an energy concern, “they” will take care of it for us. If there is a need for breakthrough inventions to save humanity, “they” will take care of it for us. But instead of saying “they”, why don’t you –yes “you”– produce this next breakthrough invention that will save us? That’s what I mean by empty promises. Everyone promises us that “they” will come up with something. We all know who “they” are and how reliable they are in coming through on promises made by 3rd parties as to what “they” will do and when they will do it.